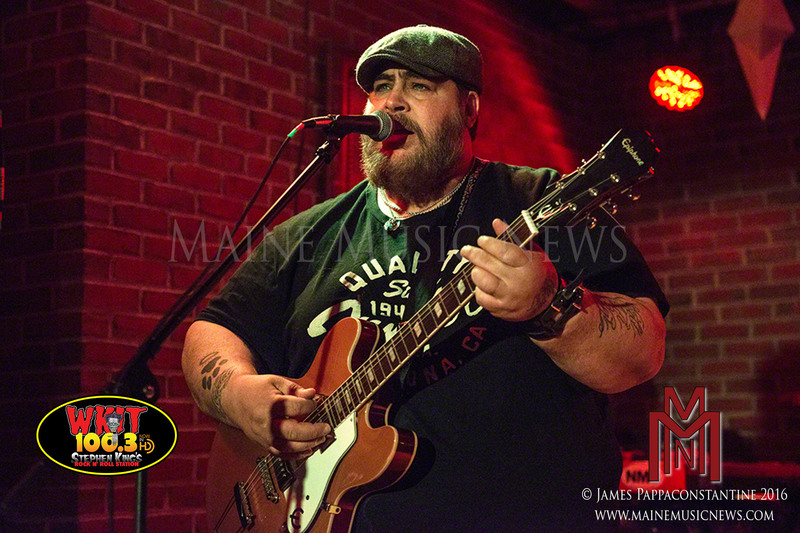 The Brickhouse in Scarborough, Maine, is notorious for bringing great blues music to the state of Maine, and on this night, they nailed it again with Nick Moss and his band. The Brickhouse is just that – a brick home that sits back on a wooded lot in Scarborough. How do you get in? Invite only. The Brick House isn’t a club or a bar. It’s a private party for a gathering of friends and family who bring food and suds and sit back and enjoy local and often national recording artists. You don’t have to know who the band is before going there, but you will always know who they are leaving – usually walking back to your car with a freshly purchased T-shirt and a signed CD so that you can relive what you just witnessed live, right here in the woods. Nick Moss is a legendary artist from Chicago, Illinois. He started his career in his teens joining Buddy Scott’s band and later playing with Jimmy Dawkins. In 1993 he joined the Legendary Blues Band and played on their last album Money Talks. Thus far in his journey, Nick was playing bass guitar. Shortly after the recording, the band’s frontman, Willie “Big Eyes” Smith, suggested Nick switch over to guitar. Nick would play for two more years with the band on guitar before the band eventually broke up. From this point on, Nick found the guitar to be home. He joined the Jimmy Rogers band before he decided to go solo. In 2003, Nick recorded his first solo release, First Offence. Nick’s band has changed faces a few times over the years, but most of the guys he currently plays with have had a long tenure with the artist. Tonight was something special for me, as often times it is at The Brickhouse. More often than not, I’m one of those guys who doesn’t know the band playing but who leaves a fan of what I just witnessed. 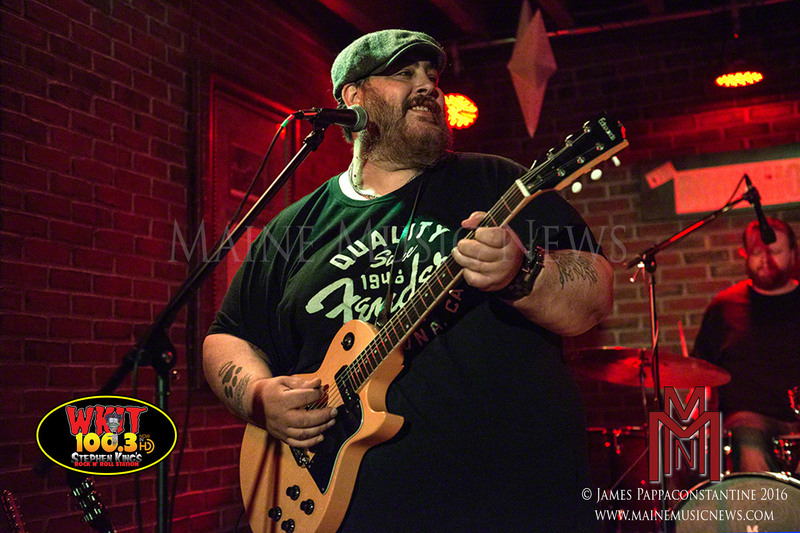 This has been the case with Popa Chubby, Chris Duarte, and many others, and tonight Nick Moss and the band joined the ranks. Beside Nick’s obvious guitar ability, I have to give it up to the guys for assembling a great band of true musicians behind him. On drums is Patrick Seals. Patrick has a jazz background and he really brings that to the table with his laid back style. On bass guitar, Nick Fane, who is a rocker at heart notice his Black Sabbath T-shirt in the photos, but that said, Nick has a true appreciation for the blues, after all, the blues is where it all began. It would be hard to argue that any rock music that you hear today didn’t borrow from the blues at some point. 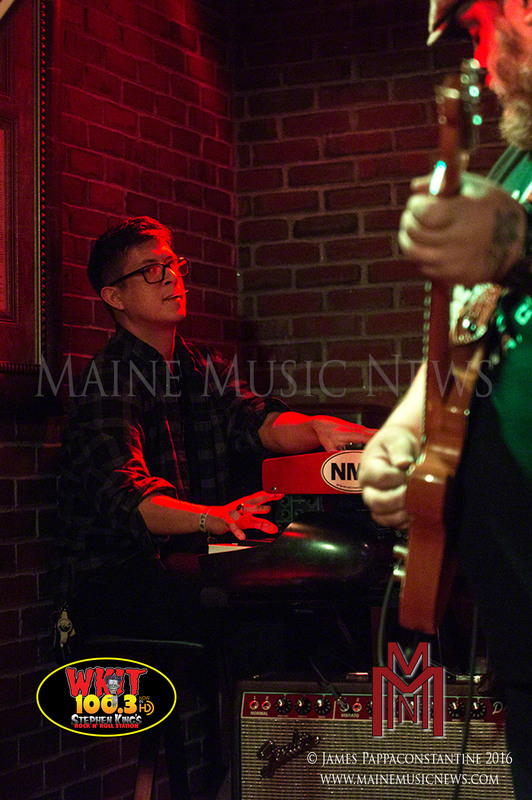 On keyboards, Taylor Streiff plays like nobody’s business. I was truly impressed with this guy’s skills, he makes his presence really known as he lays into the keys and fills the void between the rhythm section and the guitars. Last but certainly not least, was my favorite part of the Nick Moss Band, no disrespect to Nick, but Michael Ledbetter on vocals and rhythm guitar has a voice of an angel. Hearing him open up on stage reminded of some of the greats; Otis Redding, Marvin Gaye, Curtis Mayfield. Michaels voice is like butter, smooth and creamy. Toward the beginning of the set someone shouted up a request for some of Nick’s older material, I think it was for a song called, “She Wants It,” to this Nick announced, “Maybe later, right now we want to play you some of the new material, and who knows, maybe the next time we play here, you’ll find a new favorite to request.” Now I don’t know the requested song, but I can tell you this, roughly four songs after that statement, I heard the song that I will be requesting next time, it’s called “Breathe Easy.” This song has more old soul in it than anything I’ve heard in a long time. After they played this song it got a well-deserved, standing ovation. The night was magical and the band promised to come back again. I for one can’t wait.